Notwithstanding Chloe Smith walking away, the government have attempted to pacify the opponents to the Transparency of Lobbying, Non Party Campaigning, Trade Union Administration and Whatever It Takes To Stop You Talking About The Real Issues Bill with a string of amendments to be debated at this afternoon’s report stage of the bill in the House of Commons. By all accounts, it hasn’t worked. I’m actually surprised by this as I would have thought they’d be able to mollify the larger charities. But there is nothing liberal in permitting vast fortunes to be spent in the pursuit of electoral success. If there were, we would be arguing for the repeal of the 1883 Prevention of Corruption and Illegal Practices Act which has limited candidates’ expenditure at elections for 130 years. No one is making that case: not 38 Degrees, not Friends of the Earth, not the Countryside Alliance, not Hope Not Hate. The Bill will ensure that no millionaire’s cheque book can outgun the voices of small organisations or of election candidates with a good case to make. We cannot allow that simple principle to be blown away in a gust of hot air about “gagging”. That is simply nonsense. For starters, Unlock Democracy – who I worked for until September – have been making precisely that case for many years, and have more recently been joined by the Electoral Reform Society. Simply omitting the organisations which campaigning on this issue because they are inconvenient does not make a case true. And it is simply not true that a single millionaire will be prevented from buying the political process if that is what they wish to do so. The government has repeatedly refused to legislate for a cap on donations, and however draconian this bill is on campaigning, it doesn’t include a cap on donations to non party campaigns. 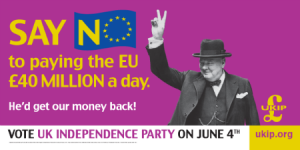 There is nothing whatsoever to prevent a donor from making donations of £400,000 to a dozen different organisations, all of whom would be free to campaign up to the spending limit as long as they did not work in concert. So you might reasonably ask why the UK should have legislation about electoral activity by non-candidates at all. The answer is summed up in one word: Koch. The reason why this is so important is because of the Koch Brothers and their activities funding ultra-conservative election support in the USA, and those like them. They set up lobby groups and non-profits to intervene, most of them well below the radar – but tax returns show that they spent $230 million in local interventions in the USA in the year before the last presidential election, and that was just through one of their organisations. Look at the government shut-down, the blinkered oppositionism that has degraded American politics at federal level. That isn’t just about the Koch brothers, but we don’t want it here – we don’t want an open door to every oligarch who thinks they can intervene in our elections. The tl;dr version of that quote is: “if you don’t support this bill then you support oligarchs shutting down the government!” It’s a nice bit of propaganda, but once again it omits certain inconvenient truths. Specifically, we already have our UK Koch Brothers. The difference is that, because they are free to fund parties directly, they opt for that instead. The Stuart Wheelers, Michael Ashcrofts and, yes, James Palumbos of this world know that you are far better off putting your money into parties either directly or influencing governments by establishing think tanks and setting the political agenda that way. In terms of getting bang out of their buck, they would be insane to do otherwise. So the real question is, why are the Liberal Democrats shroud waving about this non-issue while doing nothing whatsoever to make the case for taking the big money out of the UK political system where it is actually being spent? It was quite a surprise to see Chloe Smith resign last night, less than 48 hours before her team was due to carry the Transparency of Lobbying, Non Party Campaigning, Trade Union Administration and Anything Else We Can Think Of Bill through the House of Commons report stage. I find it hard to believe that the two incidents can be a coincidence. Over the last nine years I’ve had to follow the work of the various junior ministers in charge of constitutional reform or their equivalents and I can safely say that Smith was the least impressive one. She has the most obvious “tell” I’ve ever seen in a senior politician; whenever she knows she’s talking out of the top of her hat, she starts beaming like the Cheshire Cat, like it’s all a tremendous joke. It isn’t a terribly redeeming quality, and one which did her no favours at all at the dispatch box, where she often gave the impression that she wasn’t taking her job at all seriously. She is leaving to spend more time with her constituency, and it is fair to say that she will struggle to hold onto her seat which was, after all, a by-election gain. She’ll be joining the ranks of a number of politicians who thought that the best way to get ahead was to be impeccably loyal and do all the dirty jobs that no one else wanted. The sad truth is that while prime ministers often find such pliancy useful, they seldom respect it and it is almost never rewarded. But what of the bill she is walking away from? The Lib Dems are now claiming that all the problems with it have been solved. However, the same people also insisted, and still do, that there wasn’t a problem in the first place. The legion of charities, trade unions, voluntary sector organisations, lobbyists and backbenchers who have lined up against it are currently waiting to see what the government’s actual amendments say, no longer giving ministerial assurances any credence. 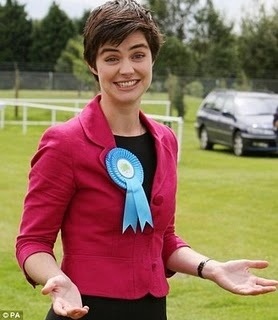 It is a strange debacle that a stronger minister in charge would surely have been able to prevent; indeed, the fact that the task of getting the bill through parliament was taken out of Smith’s hands and put into the hands of the similarly tarnished Andrew Lansley was a significant vote of no confidence in her. But it has to be said that this is a debacle largely of the Liberal Democrats’ making as well. The fact that Clegg himself could not be involved with anything to do with lobbying regulation was a strong reason for him to move to a different department in last years’ reshuffle. The lobbying register was the one political reform the Lib Dems had left to claim a victory over after the mess of the AV referendum and House of Lords reform. It is also clear that much of the pressure to regulate non party campaigning came from the Lib Dem camp as well. The first hint anyone had that this legislation was being planned was in the publication of Lord Tyler’s attempt at cross party agreement on a party funding reform bill, published back in May. Overall, this is a very strong piece of work, proposing a way to introduce party funding while not actually increasing the overall cost of politics to the taxpayer. Yet, to hear Lord Tyler talk, it was clear that it was the non party campaigning section which got him the most excited and he was alarmingly quick to dismiss the criticisms being levelled at it. Overall, this has been a farce from start to finish. Hopefully the House of Lords will be able to steer it in a more sensible direction. But the rushed through process itself ought go deeply concern any democrat. In the past, the Liberal Democrats were always the first to criticise governments for rushing through legislation without recourse to proper pre-legislative scrutiny or consultation; it has been truly shocking to see them become its greatest advocates over the past couple of months. A new pernicious and – surprise, surprise – anonymous campaign blog in support of scrapping early day motions has been established. Up until now, calls to scrap this system has been restricted to (usually Tory) MPs. Why an ordinary member of the public would want them scrapped is another matter. If you go and have a peek at the EDM database, you could be forgiven for thinking there isn’t much to defend. But you would be wrong. EDMs are currently one of the few ways in which backbench MPs can raise issues in Parliament – which means they are one of the few ways in which their constituents can raise issues in Parliament. As a campaign tool, for both parliamentarians and pressure groups, they are invaluable. On an almost monthly basis you read news reports assessing the likelihood of a backbench rebellion succeeding or failing as a result of how many members have signed the accompanying EDM. They are a key tool for backbenchers to arm themselves against the whips, a way of forming strength in numbers. In order to get private members bill legislation through parliament they are absolutely crucial. The Sustainable Communities Act* would never have become law if 338 MPs – a clear majority – had not signed the accompanying EDM. Could the system be improved? Of course. For one thing, the current paper-based system is a total waste of money. Parliament could – and should – move towards an electronic system. There is also merit in considering some kind of guillotine rule for EDMs which fail to get enough signatories within a week (for example). The biggest abusers of EDMs are MPs themselves who just can’t resist tabling EDMs about their local football or rugby teams, etc. Yet I have never seen a critic of the system call for it to be reformed, merely scrapped. Who would benefit from scrapping the system? Party whips whose job would suddenly become much easier. MPs more generally – particularly those dinosaurs who have been taken to task over the past couple of months – whose views would be less open to public scrutiny. Multi-client lobbying companies, who would be able to assert a greater monopoly on who has access to Parliament (currently, voluntary sector organisation facing up against a lobbying firm can at least rely on the public record as a way of monitoring progress of their campaigns and ensuring MPs’ opinions’ can’t waver; without EDMs, the lobbying companies would be the only ones with the resources to monitor this). So we should be wary of this peevish campaign and question why they are hiding behind the veil of anonymity. Come out come out, wherever you are! * Interest: I work for Unlock Democracy which was – and remains – one of the main backers of the SCA. I thought this was an interesting illustration of how lazy journalism can distort the news to a dangerous degree. The Hansard Society – whose stated aim is to “promote effective parliamentary democracy” – spoke to 81 Labour MPs, 55 Conservatives, 19 Liberal Democrats and five from other parties. It found that 22% of MPs were contacted by interest groups at least 50 times a week and 59% at least 20 times. Some 51% said they were lobbied at least 20 times a week by charities and 39% by businesses. Meanwhile, 31% received this many approaches from public sector organisations and 22% from trade associations. Adding all these figures together meant some politicians were being approached more than 100 times a week in total, the report said. Some MPs are being approached by lobbyists at least 100 times a week, a report by the Hansard Society says. Most people will only read the headline or, at best, the first couple of paragraphs, leading to a completely distorted view of what Hansard’s research actually says.